WEST HARRISON, NEW YORK, UNITED STATES, December 10, 2018 /EINPresswire.com/ -- Exemplary leaders are categorically necessary in order to run organizations and businesses effectively. But many people in middle management may lack the skills, self-assuredness, and conviction to qualify for a position to run things effectively and efficiently. How can they advance if they are not quite competent or experienced to become fit leaders? Tejal is an outstanding Leadership coach and Human Resource Consultant. Prior to starting in her coaching work, Tejal began her career as a social worker mentoring troubled adolescents. She worked to understand how their behaviors and actions affected their lives and the world around them. She then went on to support adults struggling in the workplace. 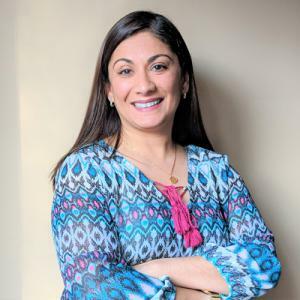 When she began a position in Human Resources Tejal realized her knack was ideally in coaching when workers continually sought her out with questions about their role at work and how they can communicate effectively with colleagues. She realized her true passion and skill were in managing people and reframing situations to help people achieve the best possible outcome for themselves and their organizations. Tejal expertly assists clients who are seeking to advance or make changes in their careers. Through her H.R. consulting work she performs assessments to determine how they interact with others and how others perceive them. Tejal’s emphasis is on coaching Senior Level managers and directors since they are the ones stepping into the CEO role and unquestionably require role models. Her one on one coaching and individual sessions are done over Skype or phone and she works with clients for a minimum of 3 months. She also works directly with organizations to help their teams work better together. According to Tejal, coaching teaches people to be who they are authentically while accepting that they have valuable ideas, viewpoints, and can share them to create effective impact. CUTV News Radio will feature Tejal Kaji in an interview with Doug Lewellyn on Wednesday December 12th at 2 p.m. EST.